Keeping your office clean is as important as it is to keep your business dealings above board, your finances in order and your business strategy sound. This is because a clean office will keep your staff happy, your customers or clients happy, the health of your staff as good as it can be and will reduce the amount of working hours lost each year due to sickness. Research carried out by the University of Arizona and Durable UK revealed some fascinating statistics regarding office hygiene. 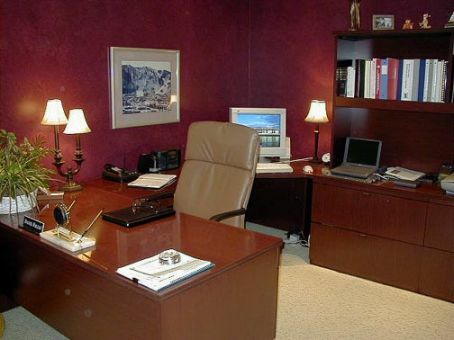 So is your office as clean as it could be? Well one way to check is to look at your sickness statistics. How many people have been off within the last year? If it seems excessive then there is a good chance that this might be the case. An obvious solution is to call in a huge team of cleaners to gut the office each and every night, but that just isn’t going to be practical or affordable. A professional cleaning company should be able to work out an affordable schedule that in their experience will allow you to maintain a high level of cleanliness. Have a clear desk policy – This means that every employee is responsible for keeping their work station completely clear of anything that isn’t something they use for work. You should carry out regular checks to make sure this policy is being adhered to and don’t be afraid to reprimand those who don’t, as just one dirty desk could be the source of a bacteria that infects your whole staff and causes multiple sick days that loses you a great deal of money. Ban eating at desks – A major source of bacteria is from food dropped onto keyboards and other equipment while people are eating at their desks. Similarly keeping food in desk drawers can be just as bad, so don’t let it happen. Make sure that any cleaning company you hire disinfects keyboards and other equipment as a priority. Other than those important points, just ensuring that everything like files, folders and other storage is available so that employees can keep their stations as clear and tidy as possible will help make it easier for them to keep clean and for you to see if something has become dirty. April Clarice works for an office cleaning company in Bradford. She prefers commercial cleaning as she gets to travel around the country. My family all the time say that I am killing my time here at web, except I know I am getting knowledge all the time by reading thes fastidious articles or reviews. Try This HOT-NEW Solo-Package. Your personal message emailed to 500,000 UNIQUE Prospects. All interested in your service or product. Most people find the list high response. A personal-emailing to 500,000 UNIQUE Prospects is just *$9. Classified Access and a Global Marketing Membership. or several weeks, as a way to make your current revenue. front page and watch how they create post titles to get viewers to click. interested about everything’ve written. Just my opinion, it could make your posts a little bit more interesting. may seem to be common in the networking industry. It’s a good idea to have separate email promotions for prospects and customers, too, because you typically need to send different information to the different groups. We saw earlier that we could, through links to email addresses, contact directly with an email. correct for your situation and the location of your wine cellar. desires of the body builder. layer of a wall, with shingles or boards or gaps subtly angled to shed water.